Time was when there was hardly time for cookbooks. Soups and stews were always on the stove, but cupboards were often bare, leaving folks to “make do.” Dried beans. Flour. Salt. Lard. Out in the barn there might be something left of that cow “the menfolk” slaughtered last fall. And you could always kill a chicken if you had one. So what’s for dinner? That slop again? The Boston Cooking School opened in 1879. Its purpose: “to lift this great social incubus of bad cooking and its incident evils from the households of the country at large.” In a brick building on Tremont Street, fronting the spacious green of Boston Common, American cooking began to come of age. Here were women — all women — who took cooking seriously. Some had even been to Paris. Absorbing its culinary lessons — that spices are more than disguises, that measurements matter, that chicken can be fricaseed or even cooked with (gasp!) wine — these women came home and got busy. By the end of the century, the Boston Cooking School had a cookbook in millions of American homes. 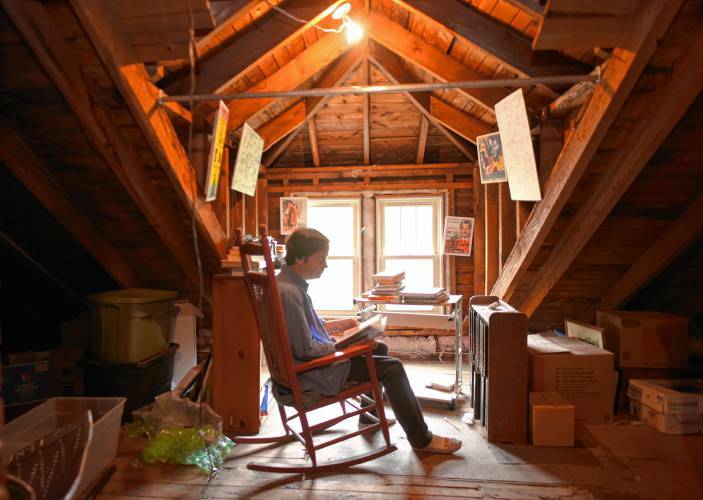 Its author became a household name — Fannie Farmer. But before Fannie, the doyenne of the Boston Cooking School was Mary J. Lincoln (no relation to the fallen president’s wife). 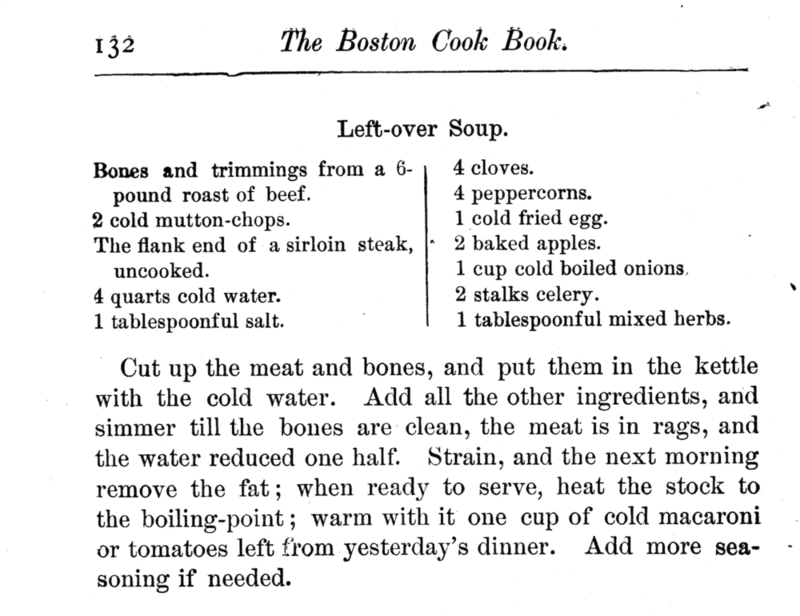 American cookbooks date to the 1790s, but Mrs. Lincoln’s Boston Cook Book: What to do and What not to do in Cooking (1884), was America’s first comprehensive, “scientific,” two-inch thick cookbook. To open it is to step back into a time when fat was in fashion, when toast was not “avocado” but “water toast,” and when the American diet included ten kinds of gruel. Bon appetit! How prim and proper was Mary J. Lincoln? Hers must be the only cookbook to include epigrams from Milton and Confucius. Not just another chef, Mrs. Lincoln was on a mission. The Boston Cooking School’s course ($1.50 for six lessons) included lectures by a chemist from M.I.T. The school gave free classes to immigrants and taught nutrition to Harvard medical students. Mrs. Lincoln touted her cookbook as “not only a collection of recipes,” but a book “which shall also embody enough of physiology, and of the chemistry and philosophy of food, to make every principle intelligible to a child and interesting to the mature mind.” Julia Child, please go to the back of the class. Mrs. Lincoln’s cookbook told American housewives how to quarter a cow and strip feathers from fowl. Its recipes include three dozen sauces (Acid Sauce, Brain Sauce, Flemish Sauce), four dozen soups (Amber, White, Digester, Ox Tail) and a lecture on “the importance of bread.” Mrs. Lincoln, who taught “sick room cookery” to Boston nurses, also offered a chapter on Cooking for Invalids. Paging through Mrs. Lincoln’s cookbook, one samples American cuisine as it used to be — before frozen foods or even freezers, before food became fast, before anyone had heard of kale, quinoa, or Mario Batali. Here is the hearty fare that forged a nation. Milk Bread. Boiled Dinner. Braised Pigeon. Hominy Croquettes. You can gain weight just turning the pages. Did you know that “many kinds of meat which are very lean and dry are improved by the addition of some kind of fat”? The process was called larding. When cupboards were bare, “making do” often meant making meals out of whatever grew off-season. Hence Mrs. Lincoln’s own “lean cuisine” includes Flower Sandwiches (nasturtiums and roses make the best), Leftover Soup, and Dandelion Greens. And then there was the question of measurement. “It has been said,” Mrs. Lincoln noted, “that ‘good cooks never measure anything.’ They do.” Mrs. Lincoln’s cookbook was the first to include measures more specific than “a handful” or “a goodly amount.” She still struggled with timing, however, telling cooks to “count to forty” or “beat as rapidly and as long as your arm will allow.” And what might modern appetites make of a 600-page cookbook with just three recipes that include bacon? Mrs. Lincoln stepped down as head of the Boston Cooking School in 1885 but continued to teach. Her prize pupil was Fannie Farmer. Farmer’s classic Boston Cooking School Cookbook, first published in 1896, is still in print. Fannie Farmer became famous, but her teacher did not just disappear. The proof being in the pudding, Mary J. Lincoln wrote other books — The Peerless Cook Book, Twenty Lessons in Cookery, and one that should be in every kitchen — Carving and Serving. 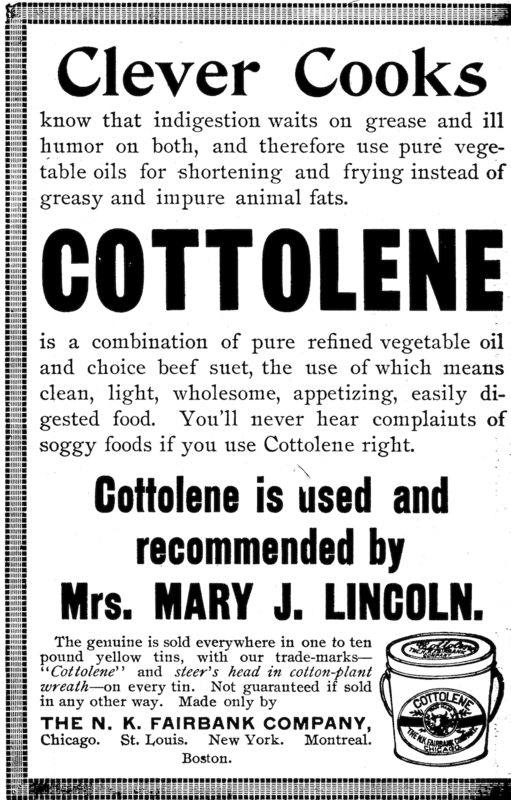 And in timeless American fashion, Mrs. Lincoln endorsed product after product. The 1900 edition of her cookbook closes with 20 pages of ads — for olive oil, Castilian cream, and Quaker Oats to “keep your stomach sweet.” Each wholesome product is approved by, used, recommended, or sometimes “used andrecommended by Mrs. Lincoln.” Come back, Julia Child. All is forgiven.